I am way behind in posting updated news of Beau-D! He had a very successful year in 2017 and the beginning of 2018. In Oct. he had should surgery so is in recovery until Spring of 2019. More updates coming soon! So very proud of Beau-D!! 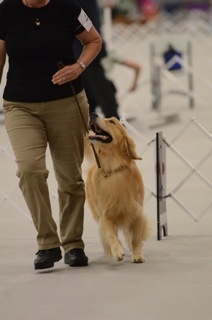 Beau-D finishes OAJ title 3/28/15 Thanks Ramona Cartwright for running him for me! Beau-D earns his first perfect 200 score!!!! 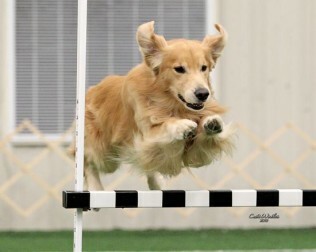 Beau-D earns 5 High In Trial out of 6 trials in Feb.
Beau-D becomes the breeds first CH/OTCH/MH/** (plus DDHF OBHF) when he earned a JAM at the 2014 GRCA NS Qualifying Stakes Field Trial at the young age of 4 1/2 completely owner trained/handled to all performance/field accomplishments! NEWS FLASH!!! 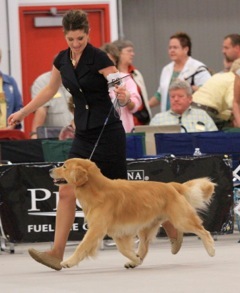 Beau-D qualified for the 2015 AKC National Obedience Championship by earning top scoring dog at the Region 2 Regional Qualifier in July 2014. Scoring 1182 points out of a possible 1200. He earned 2-3rd place ribbons and a 4th. All of this after a nearly two month lay off while his owner (me) raised a litter of puppies and did not train! 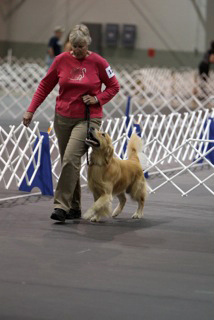 In between these two weeks of Obedience competitions, Beau-D and I had a chance to work on a new adventure-Field trials! We spent three days in Michigan with Pat Burns. 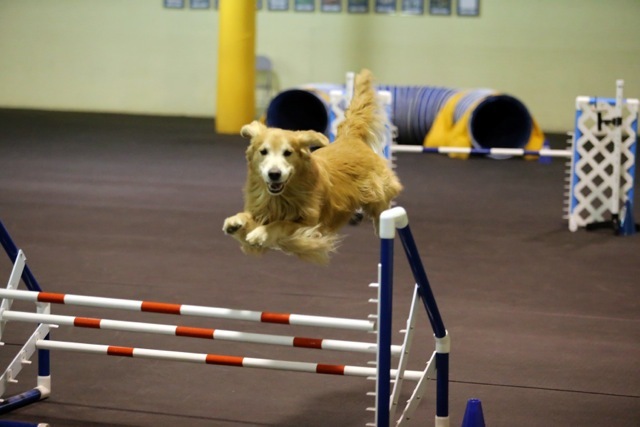 In Pat’s words, “This dog can easily get a Qualified All Age, well maybe not that easy”. 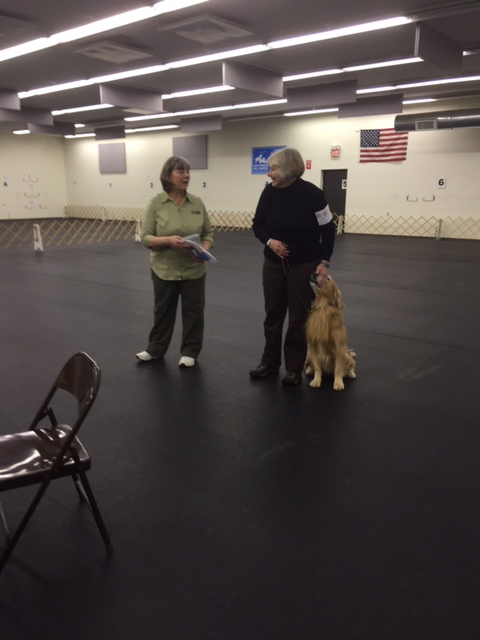 Carol Cassidy also suggested I run him in Field Trials after attending one of her seminar. 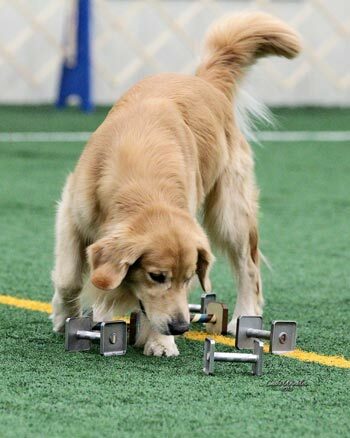 So, on Friday Aug. 15, 2014 we entered our first trial (with limited training time due to those stinking cute puppies!) We made it through two series of a really tough test. Then he went on to pass a Master test over that same weekend! 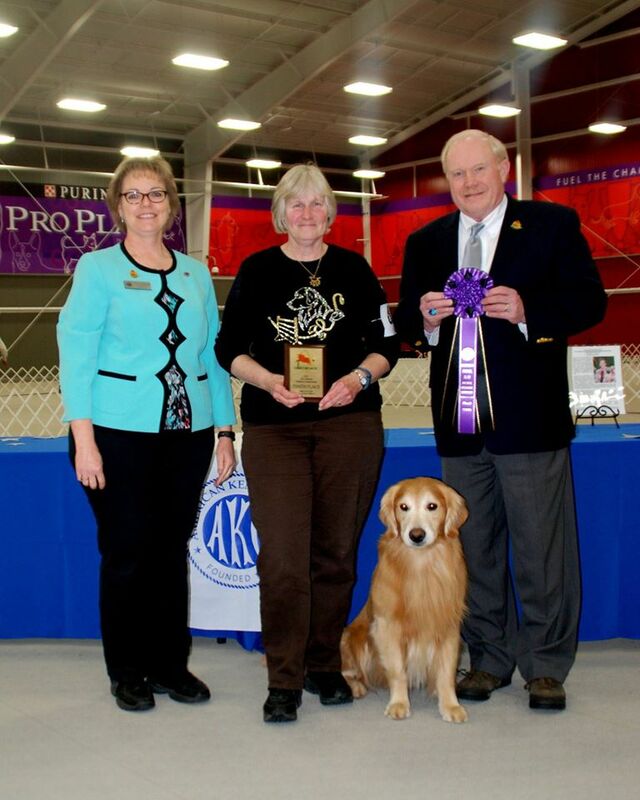 Thank you to Judge Barbara Branstad and Beau-D’s handler, Cortney Corral for this special honor. 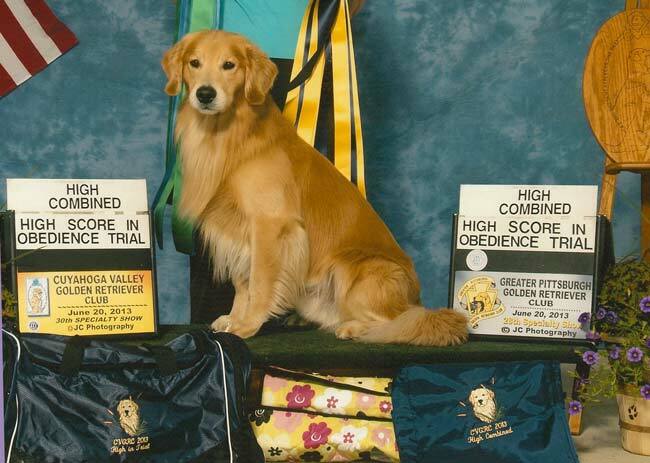 Beau-D joins the elite group of goldens with the DDHF title. And he is only 3 years old!! 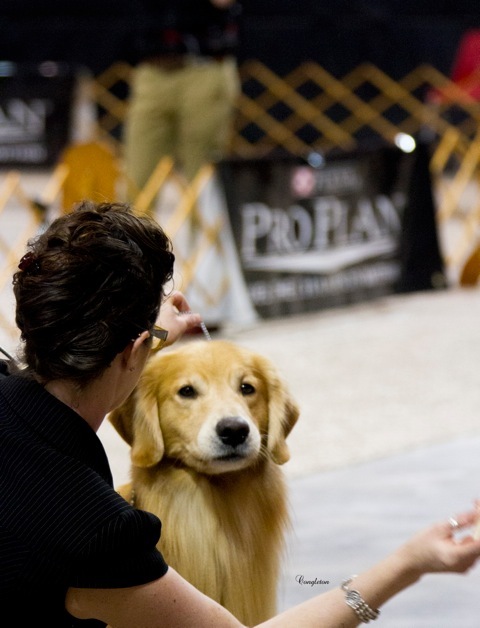 On April 14, 2013 Beau-D earned his Utility Title! 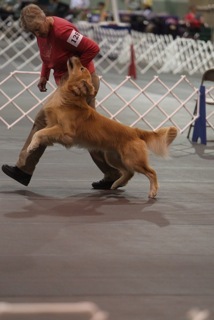 Beau-D finished his CDX at the Oakland Co. shows in Novi, MI. 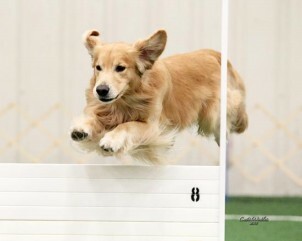 He finished the title with a 198.5 and second place from a very competitive class. He earned his title in 4 shows! Beau-D wins the Novice Division in York, PA. He lost only 5 1/2 points out of 600 possible points! 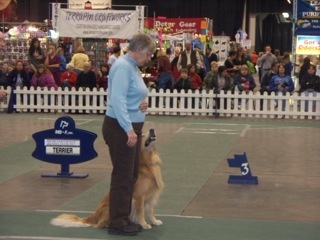 2012 GRCA National Specialty was a great week, spent competing, watching several Skye puppies show and catching up with people I haven’t seen for a while! 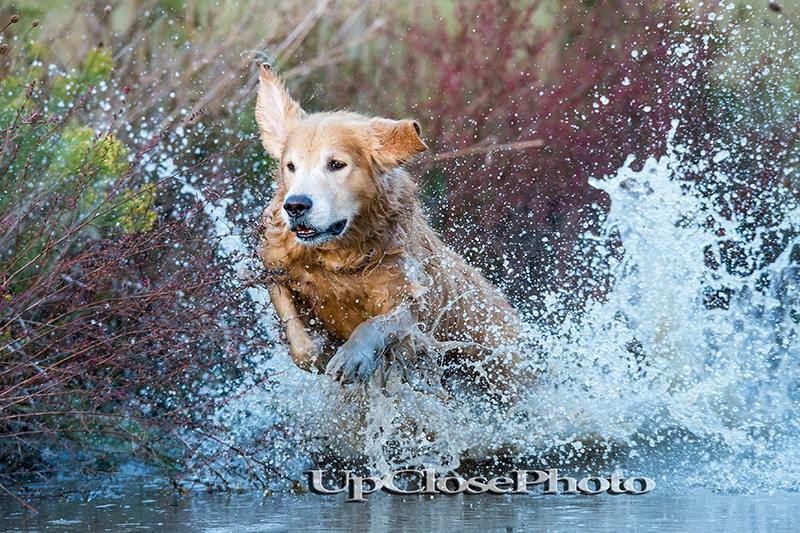 Beau-D earned the Triathlon Award by placing 3rd in Grad Novice (197 1/2), 2nd in the Senior Hunter Gun Dog Sweeps and passing the WC. 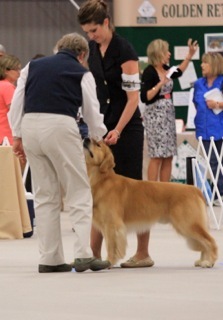 He also had a 197 1/2 in Novice B (with a handler error) and placed 3rd in the very competitive Hunting Retriever Class. I was so excited when Beau-D made it to the 3rd series of the Master A test! He was the youngest in this group and the only Champion to make it our of the 1st series. The overall pass rate was in the low 30%. 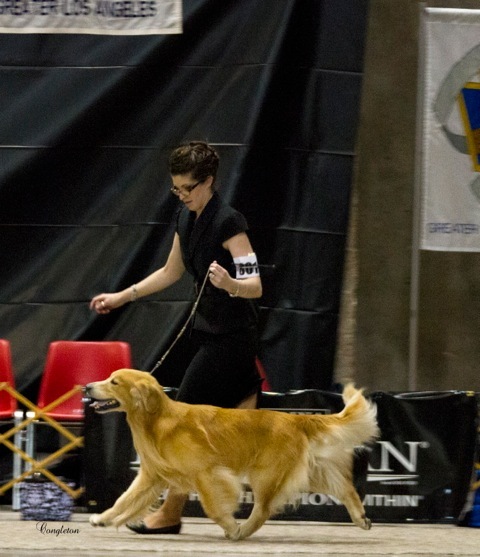 I was so proud of Beau-D. We’ll be back out in Master next summer! 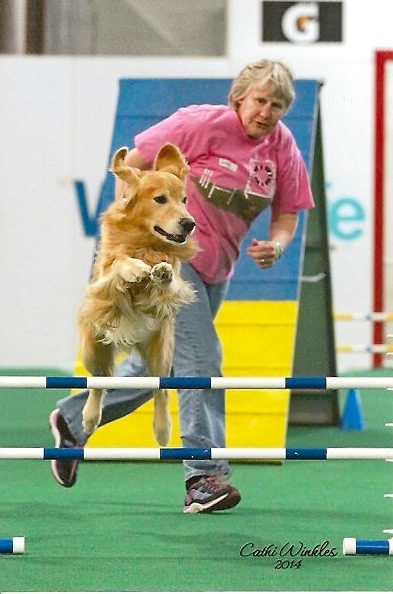 Beau-D earns 5th High In Trial at Cleveland All Breed Training Center Trial on Nov. 3, 2012 which finished his Novice career. He showed 7 times in Novice B, earning 5 HIT!! Beau-D takes High In Trial at the Cleveland IX show his first time out in Open B by winning a run-off on Dec. 15, 2012. 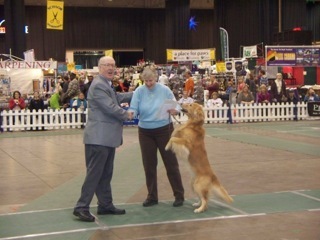 The award is presented in the Best of Show ring in-between some of the breed classes-what a thrill! They clapped for his drop on recall demonstration!